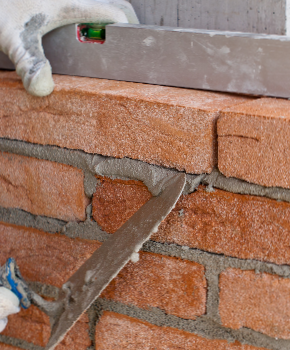 Brick is one of the strongest and most durable types of masonry available for the exterior of a home. With that being said, it should be expected it is one of the most costly masonry materials available. It is one of those materials that will show wear and tear with time but is easily cleaned with proper procedures. Rehabilitating the exterior of a brick house is a task that may often be done for older homes that have been exposed to the elements with no routine upkeep. Here are some of the ways these improvements can be done. Before beginning the cleaning process, it is important to determine what type of dirt, grime, and stains you are dealing with. It is not uncommon for dark stains, mold, and other types of grime to appear on aged brick. The cleaning procedure will be more successful once you determine what you are trying to clean off of the brick. Mold or mildew can be cleaned with a solution of bleach. An acid solution is recommended to clean other stains from the mortar and brick. Follow the instructions included with any cleaning products used. Successful cleaning of brick will be determined by the type of products used. Many chemicals will not remove mold or algae stains as well as bleach will. 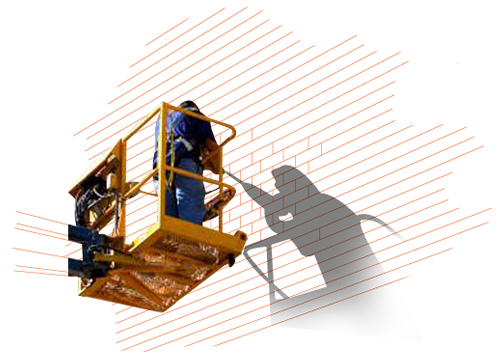 There are some products on the market that are manufactured specifically for cleaning of brick. The acid solution seems to be one of the most promising methods of cleaning stains and grime other than mold or mildew. Some individuals may also pressure wash brick during the rehab process. This method works well for removing build up of grime and dirt masonry surfaces. The mortar joints in between the brick may begin to deteriorate with age. This is more common in older homes that have experienced recent foundation settling. 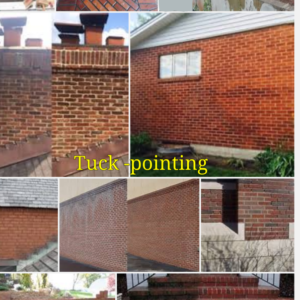 Tuckpointing is the process of repairing mortar joints. When mortar is cracked or missing, it is replaced with new mortar that will be pushed into the joints with a pointed tool that some refer to as a tuckpointer. After the job is complete, the mortar will match the other mortar joints in the brick or block wall. The process of tuckpointing can be quite tedious. It is time-consuming and must be done by a professional who has knowledge and experience in masonry repairs. If repairs are done properly the exterior rehab process will have the brick or block looking almost as good as new. Between cleaning and repair, brick and block exterior rehab jobs are time-consuming and can be somewhat costly. Without specific tools, the job cannot be completed properly. Masonry and tuckpointing home rehab can be quite a challenge for someone who is lacking experience. Like kitchen rehab, this is not the type of rehab project an inexperienced homeowner should try without proper guidance, as it could result in disastrous circumstances. You can obtain more information about the exterior rehab of brick or block structures from a variety of online resources. Here at DWD Renovation, we will be able to complete the job in a professional manner with a guarantee of workmanship. If you are considering masonry repair or tuckpointing for your home, contact us at (773) 657-5990 for a consultation.